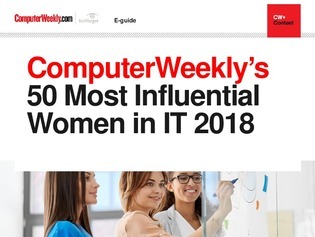 Each year Computer Weekly showcases 50 of the most influential women in UK technology as part of its ongoing mission to make industry role models more visible and accessible. Alongside this list of women, Computer Weekly runs an annual event, in partnership with Mortimer Spinks, which aims to discuss diversity in the technology industry: why is it important, how to work towards attracting diverse candidates and how we can retain them. This year’s event focused on the importance of inclusion in attracting and retaining diverse talent. When people feel they can be themselves at work they are more likely to stay, and the company can benefit from their individuality to better reflect the customers they are serving. In this e-guide we showcase some of the industry role models who break the stereotypical IT mold, and share opinions on what we can do to make the industry more diverse and inclusive.